The series has been met with a mixed response from critics upon its premiere. On the review aggregation website Rotten Tomatoes, the series holds a 67% approval rating with an average rating of 5.85 out of 10 based on 15 reviews. 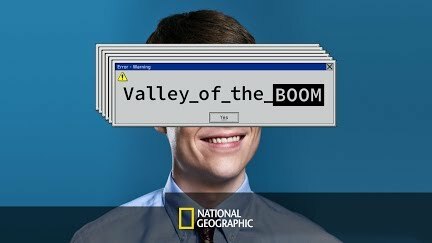 The website's critical consensus reads, "A visual collage of dot com history, Valley of Boom proves to be just as sprawling and ramshackle as the docuseries' subject." Metacritic, which uses a weighted average, assigned the series a score of 58 out of 100 based on 11 critics, indicating "mixed or average reviews."